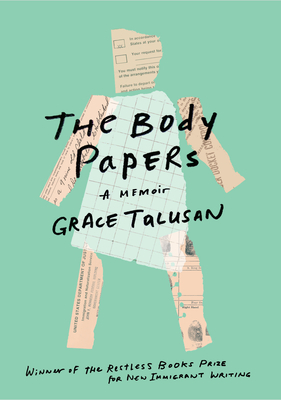 Winner of The Restless Books Prize for New Immigrant Writing, Grace Talusan’s memoir The Body Papers bravely explores her experiences with sexual abuse, depression, cancer, and life as a Filipino immigrant, supplemented with government documents, medical records, and family photos. Born in the Philippines, young Grace Talusan moves with her family to a New England suburb in the 1970s. At school, she confronts racism as one of the few kids with a brown face. At home, the confusion is worse: her grandfather’s nightly visits to her room leave her hurt and terrified, and she learns to build a protective wall of silence that maps onto the larger silence practiced by her Catholic Filipino family. Talusan learns as a teenager that her family’s legal status in the country has always hung by a thread—for a time, they were “illegal.” Family, she’s told, must be put first. Not every family legacy is destructive. From her parents, Talusan has learned to tell stories in order to continue. The generosity of spirit and literary acuity of this debut memoir are a testament to her determination and resilience. In excavating and documenting such abuse and trauma, Talusan gives voice to unspeakable experience, and shines a light of hope into the darkness. Grace Talusan is a writer and writing teacher. As a child, she immigrated to the United States from the Philippines with her parents. She has published essays, longform journalism, fiction and book reviews in Brevity, Creative Nonfiction, Boston Magazine, Boston Globe, The Rumpus, and many others. She is the recipient of a U.S. Fulbright Fellowship to the Philippines and an Artist Fellowship Award from the Massachusetts Cultural Council, and has been awarded residencies to Hedgebrook, Ragdale, and the Dune Shacks in Provincetown. She is a graduate of Tufts University and the MFA Program in Writing at the University of California, Irvine. At Tufts University, she teaches in the English Department and The Jonathan M. Tisch College of Civic Life. She is a longtime member and teacher at Grub Street, an independent creative writing center. She lives outside of Boston with her husband.